We began the year by developing community of learners. We started with our Morning Meeting time. We follow responsive classrooms morning meeting structure: Greeting, Share, Activity, and Message. The time allows for the teachers and children to get to know each other and show that every child is important in our classrooms. We began the year by discussing our Classroom Agreements. The process was to allow everyone a voice about our agreements and then categorizing the agreements into 4 agreements that we could all follow. Once we narrowed down the agreements to 4 we created a book of pictures that showed how to follow them. 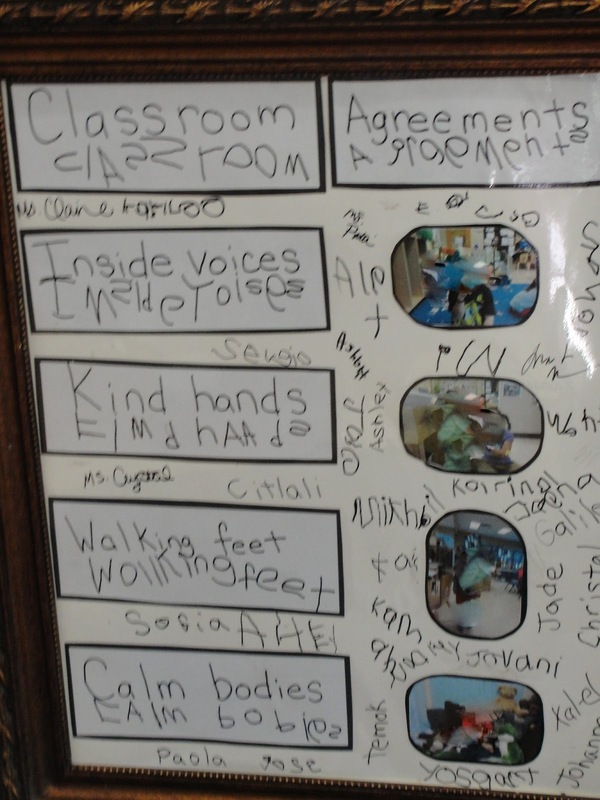 The children choose one photo for each agreement and the children wrote out the agreements. We posted the agreements on a poster. 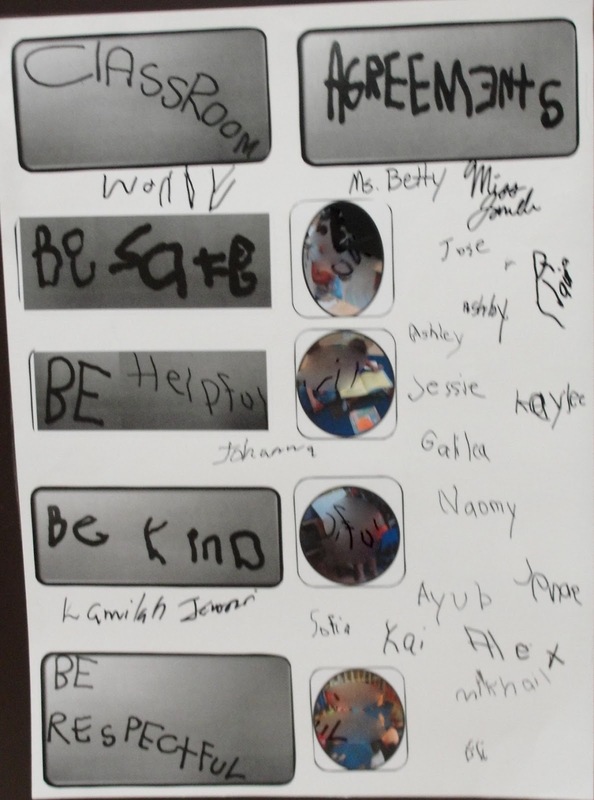 Every child and teacher signed the poster. This is a crucial part of our agreements because every child believes that their name is important and that relates that the agreements are important. We put them in frames so that the children know how important they are to the classroom. Our Job Boards allow the children to take part in every aspect of our classroom. It provides the child with self-esteem and feeling of competence to be able to take care of our room. The children and teachers discussed what each classroom needed for jobs. The children took part in the decision making process is valuable because then they begin to take ownership of the room. Our jobs: teacher assistant, greeter, weather reporter, daily reporter, kindness reporter, waiters, electrician, veterinarian, Gardner, star helper, sanitation worker, and vacation. One of the children came up with vacation because he said, "Do I have to work everyday." closet doors. Home Depot or other building supply stores have samples of laminate. We used the large laminate pieces as the jobs and used the small laminate pieces as the name plates. I hate Velcro because I am always having to redo it. We chose to use cup holder hooks, these work really well plus it is a great fine motor tool. We use the shutters in between our rooms with the hooks and shutters for a room management tool. We work in a DHS and research based school that has to do yearly ECERS/Class assessments. We had to come up with a way for the children to use both rooms but I needed a visual so that I knew which children were in each class. This works well. We also have the children help with the daily schedule. When we began the year, our outside time was in the middle of exploration time. The teachers and children were upset each day when we had to go outside in the middle, so we went and talked with other teachers and management and changed the time more to the end of the day. We created a schedule that we could move around and try out different times for our daily activities. When we were finished the children took the pictures of our day and wrote out our schedule. Sorry I don't have a current picture but looks the same as the example but in child's writing. The children believed that they have a voice in their lives because the teachers involve them in the planning process. The children also are involved in their portfolios. They are allowed to put papers and pictures in their portfolios. They can also choose to take home if they do not want it in the portfolio. My husband made our mailboxes. Each child has their journal and can keep work there if still working on. They use the mailboxes to write notes to teachers and other children. 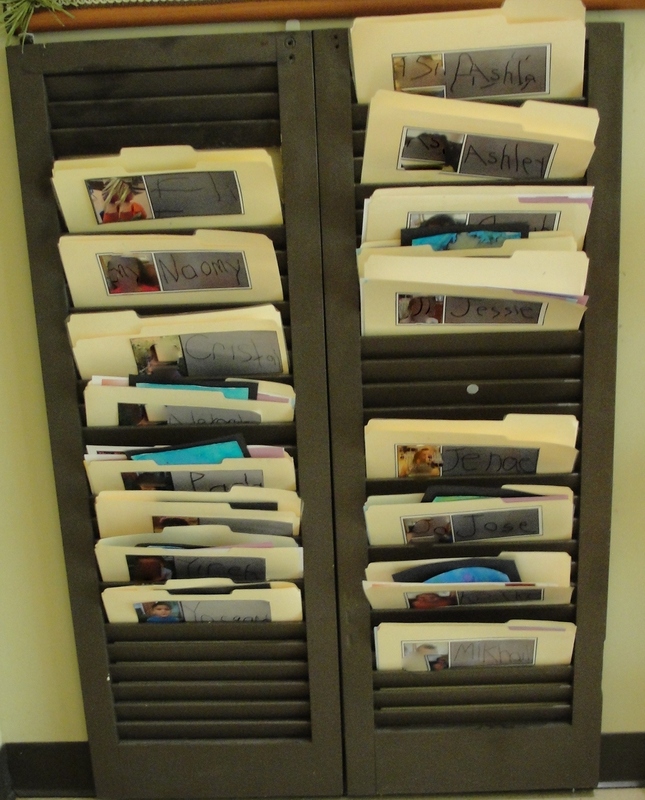 The children can put work in their folders to take home and teachers use them for communication. We work with 3-5 year old. I do not believe traditional calendar time is age appropriate but I do have a child directed calendar in my classroom. We were in Reflection time and one of my children said, "We need to write what we did today," a light bulb went on in my head. 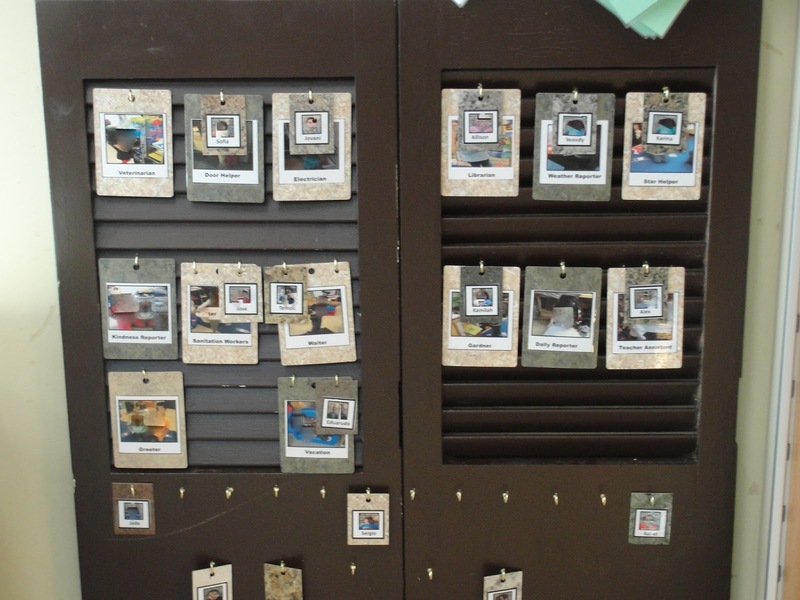 I had seen another teacher use post it notes and in another Reggio classes I had observed used calendars with their today we's. I came up with the job, daily reporter. In another classroom at our school a teacher had made a calendar out of an old frame and clothes pins. I had the children write the numbers on cards, days of the week, and the month. I found a big frame for a $1. The children helped to make the calendar. We assembled the calendar and hung it on the wall. The daily reporters job is to write down what the other children say during reflection. Then they hang the piece of paper on the calendar. This is the job that my children argue over every day. I would love more information about your daily reporter as well! I have been playing with the idea of having a more child directed calendar, but I too will have a classroom of children ages 3-5 this year. How did you get it started at the beginning of the year? Any suggestions or advice would be greatly appreciated! Do you have a template you use to create the daily schedule? Hi! I would like to help with the daily schedule translation into Spanish. Exploration centres: rincones de exploración. Reflection time: momento de reflexión. Hi. I love your daily schedule! Do you have a template that you wouldn't mind sharing? I would greatly appreciate it!!!! !